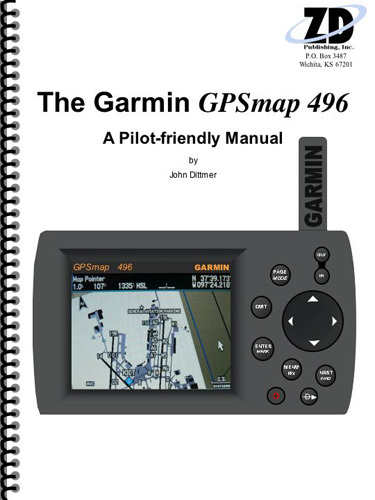 This Pilot-friendly Garmin GPSmap 496 manual from ZD Publishing, Inc. concentrates on a task-oriented format to cover all GPS operations. The GPSmap 496 combines all the features of the GPSmap 396 with new features such as their SafeTaxi. This feature has detailed maps of more than 650 airports to help guide you when taxiing. 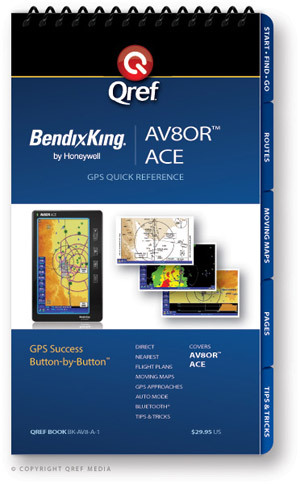 The GPSmap 496 also includes the AOPA Airport Directory information and bundles detailed street maps with the unit. The Table of Contents lists all operations. Find the operation that interestes you, go to the appropriate page and view the step-by-step instructions from beginning to end.